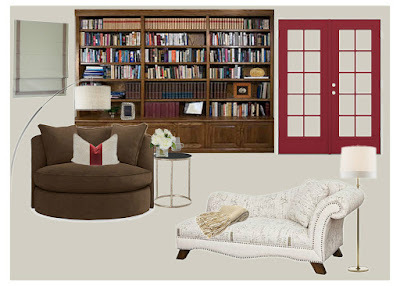 Dwell by Cheryl: "Project Binford Reveal: Part III"
"Project Binford Reveal: Part III"
Hello, hello! Hope you guys had a great weekend! Things are moving right along over here. We're gearing up for an install later this week and putting the finishing touches on a design plan for a new project that I can't wait to share. In the meantime, I'm super excited for this third portion of the reveal of Project Binford. I thought we'd move to the send floor today and check out a few of the beautiful spaces I had a chance to work on. First up is the library. This was my first library and it turned out to be such a serene and cozy space. This room was a complete blank slate. The client already had plans to add built-in bookcases and had picked out a red door that would lead to the hallway from the space. 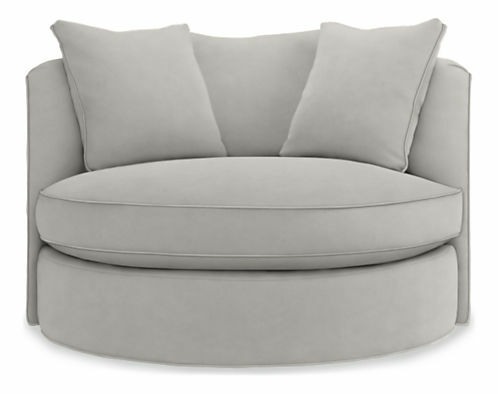 There was also an existing chaise that would need to be incorporated. Here's a pic I snapped of it in storage. As I've mentioned the client's love to travel. 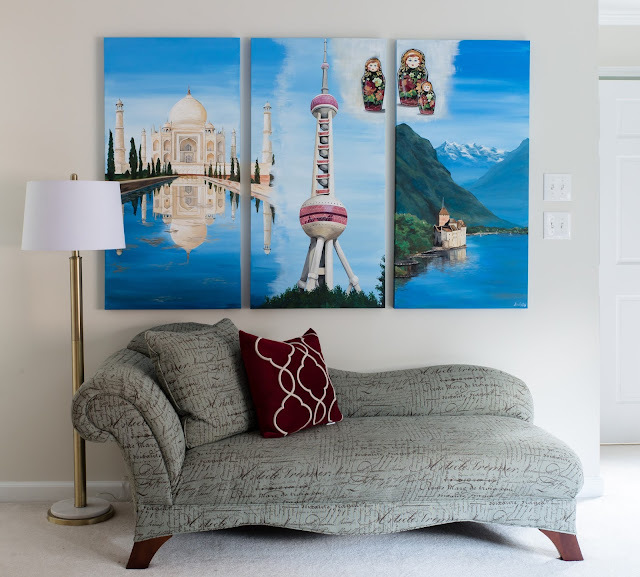 While in their previous home, they commissioned a local artist to paint this triptych of some of their favorite travel destinations. We did our best to work it into a number of spaces in the home, but in the end, the library became its final home. 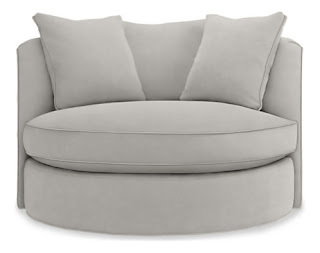 This Room and Board Eos Swivel Chair is the most comfortable chair EVER! The clients originally wanted two but ended up opting for just one. The space definitely would accommodate another if they change their minds. The perfect spot for coffee and a morning devotional. In addition to the main living spaces in the home, the client requested that I help pull together a few of the home's bedrooms. 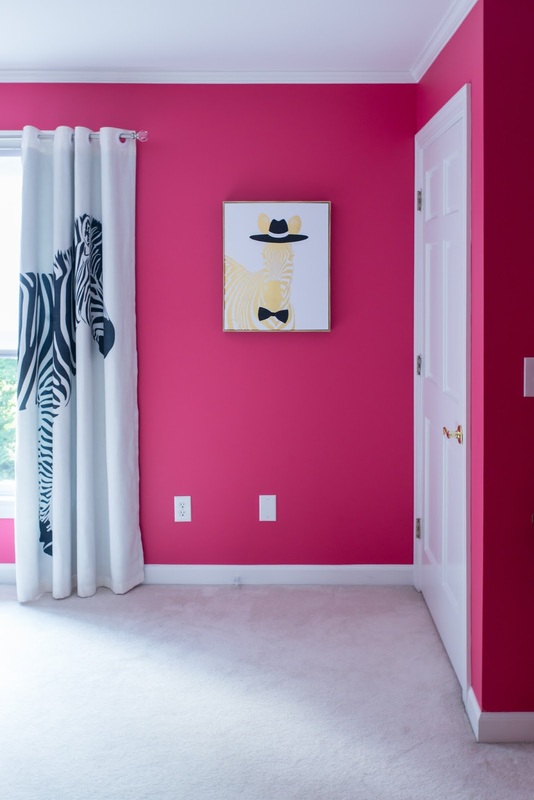 I had the pleasure of working with their daughter to give her the room she'd imagined; complete with hot pink walls and lots of zebra. Yep, that was her request...and that's just what she got. 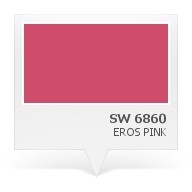 She selected her own paint color and landed on Sherwin Williams' Eros Pink and boy is it pink! In an effort to balance the saturated wall color, we opted to keep the furniture white and mirrored and grounded things with a bit of black. We sourced this fun and super girly zebra bedding and added a few fun accents. One of my favorite things in the spaces are the zebra panels. They're the perfect playful touch. When you're decorating for kids, who can be tough critics, you HAVE to get it right. Thankfully, we did! 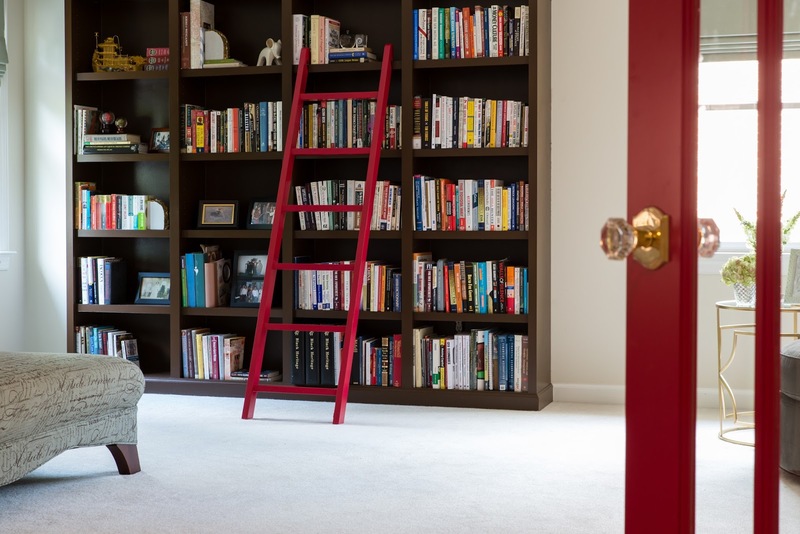 Lastly, the client realized as we progressed that it was just easier and more effective to have me complete rooms instead of struggling to get it done alone. 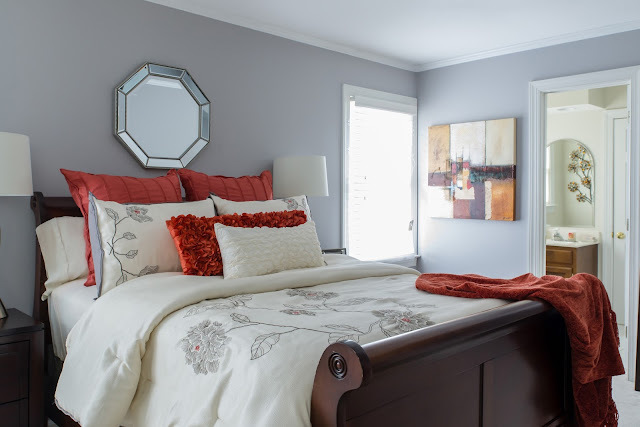 The upstairs guest bedroom is a great example. 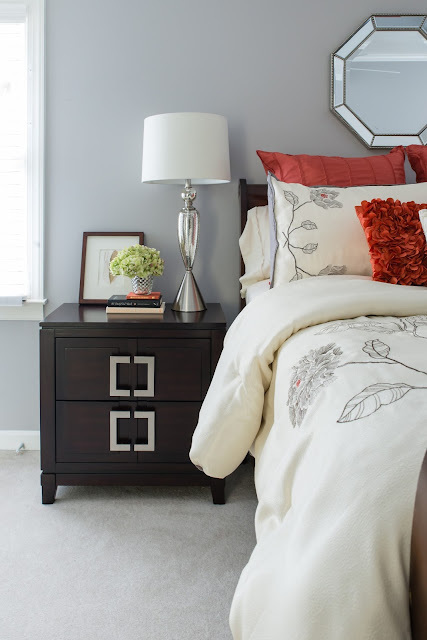 The furniture was remaining and the bedding was fine but the room still fell flat without the finishing touches. We provided a quick One Day Design Plus project for this space and it came together beautiful, with minimal additions. 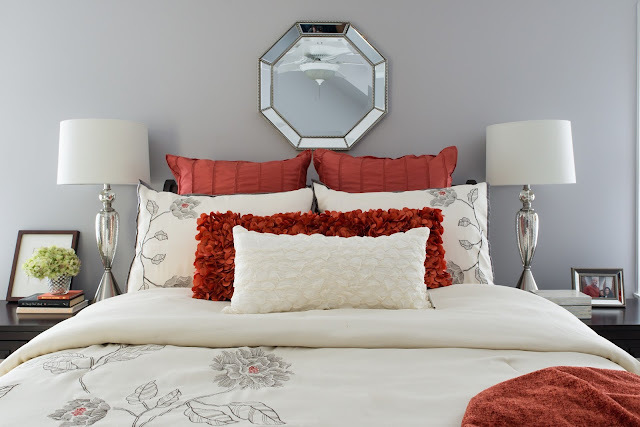 Lamps, mirror, accent pillows, art, accessories and a tv console and this room was ready to receive guests. 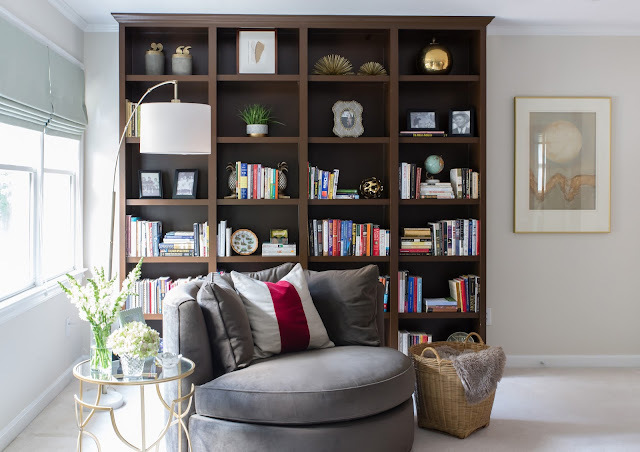 I can't tell you how much I love how this home slowly became a reflection of our teams hard work and the client's personal style. It's such a blessing to literally help clients turn their houses into homes.